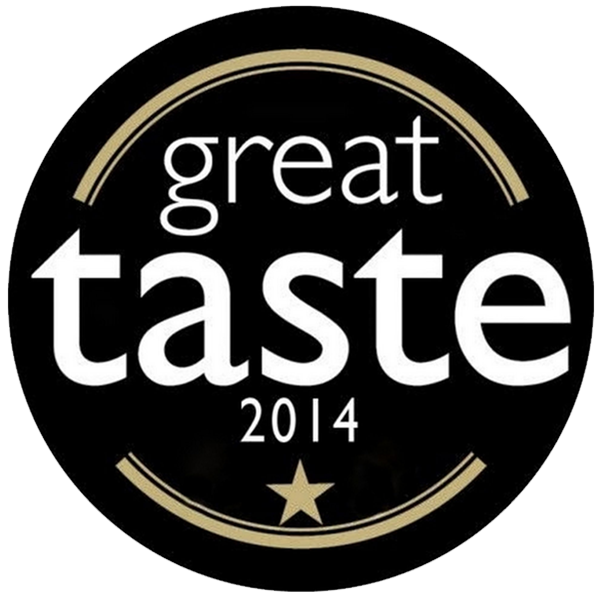 Our products are all proudly British made by our team of artisan cooks. 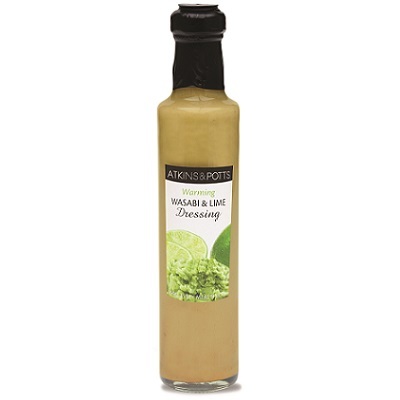 We have a great range of recipes to help you create gorgeous dishes. 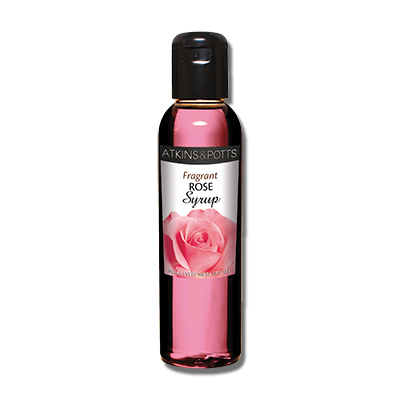 We sell our products throughout the UK and further afield in a variety of retail outlets. 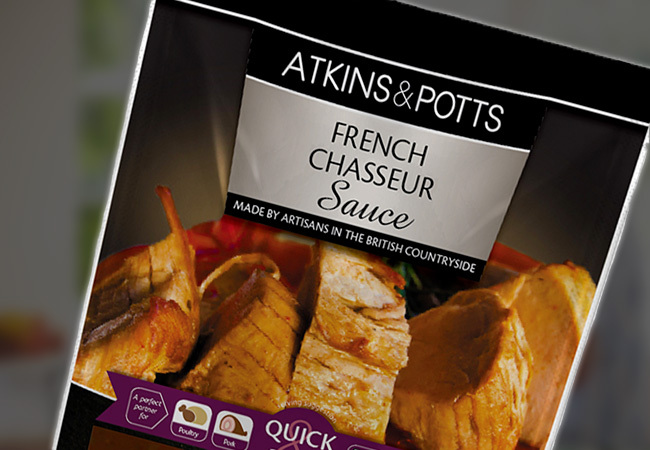 Atkins and Potts is a family owned business which creates and produces speciality food. The story behind our exquisite food. 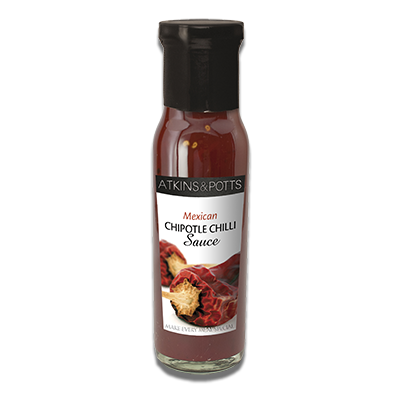 Chef inspired sauces that are quick to use for meat, fish, poultry, vegetables and pasta. 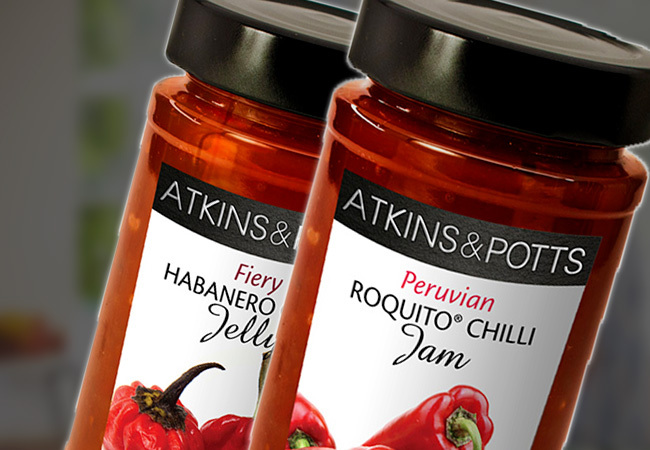 Our Classic Dining range is great for adding a little extra flavour to the dinner. 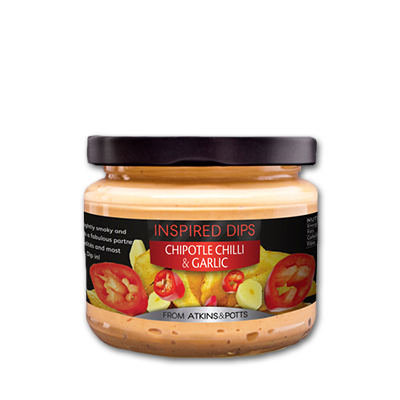 The perfect dips that compliment your party favourites. 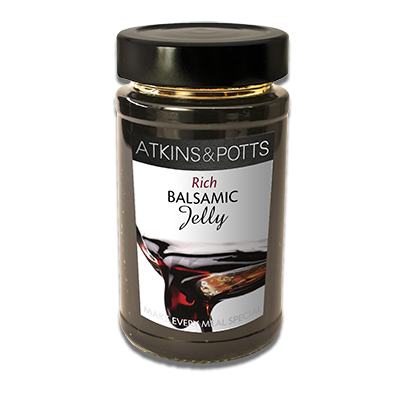 Our divine Jams are delicious with cold meats, cheeses and pates. These soups are delicious on their own or you can give them a personal touch. 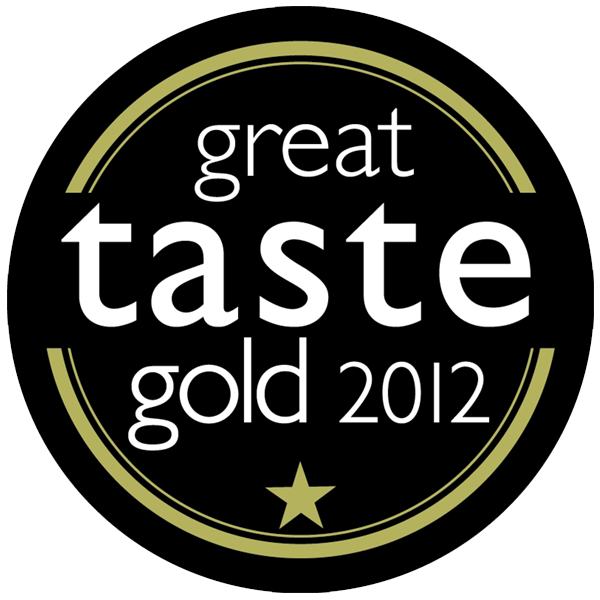 Made from the finest ingredients in the British countryside. 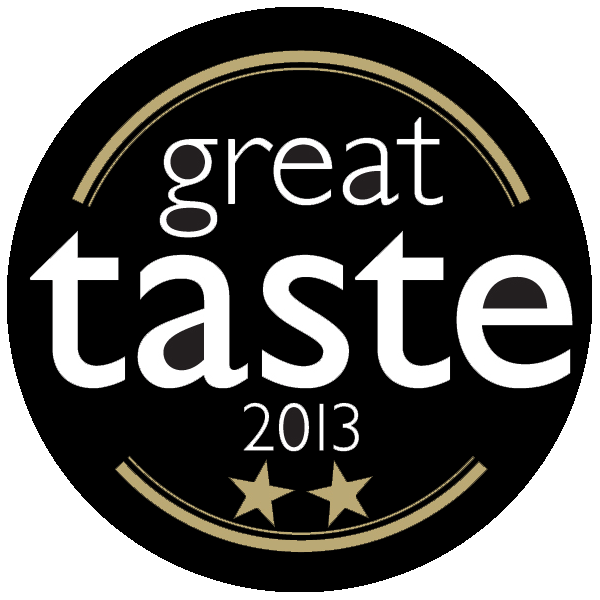 Award winning partners for cold meats and cheeses. 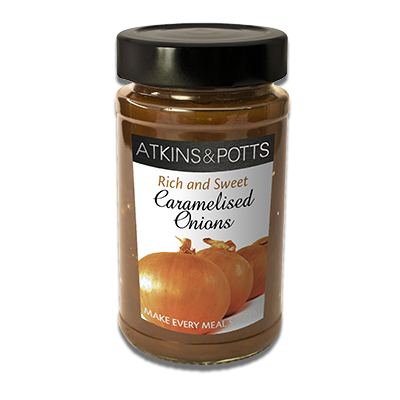 Also add to casseroles and sauces. 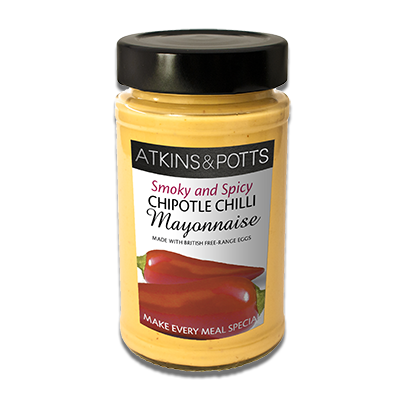 Made traditionally with free range egg yolks. 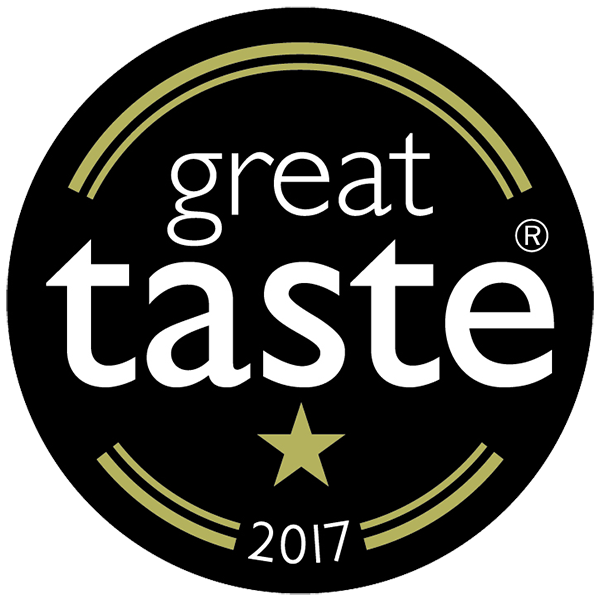 Produced from the finest ingredients by food lovers. 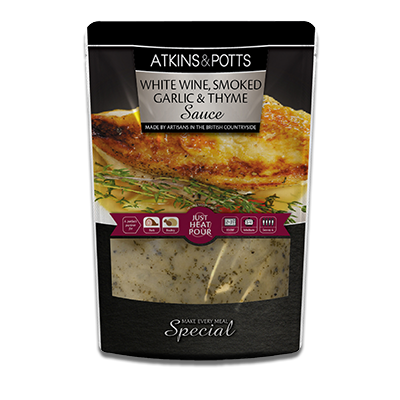 Use as glazes or to add a finishing touch to sweet and savoury dishes. 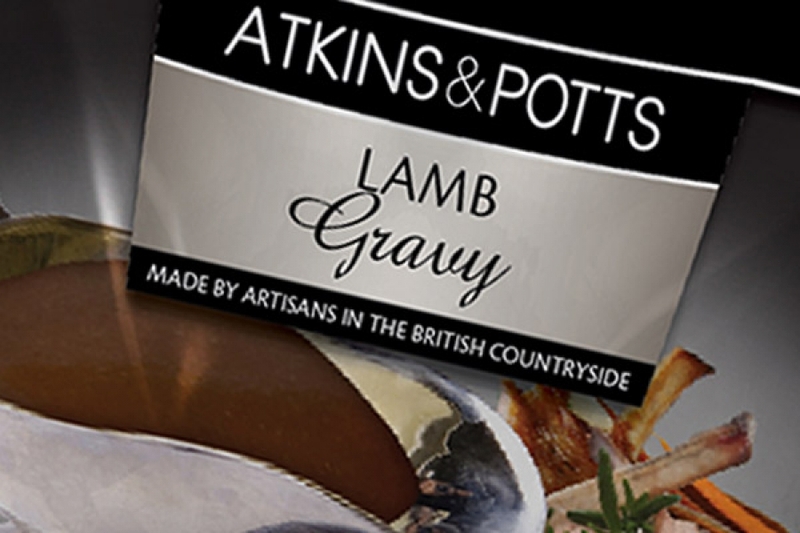 These products are made from the finest ingredients in the British countryside. 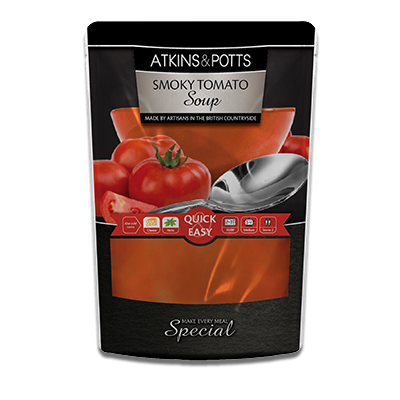 A great tomato sauce is good with chips; ours is sensational! 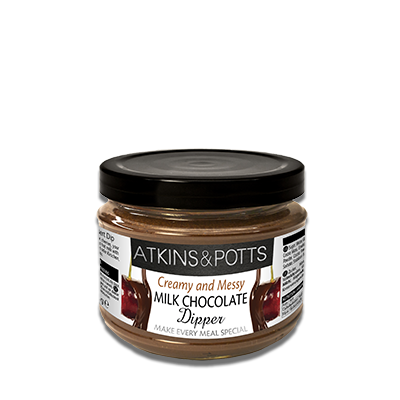 Our delicious chocolate sauces & spreads are bursting with great flavour. 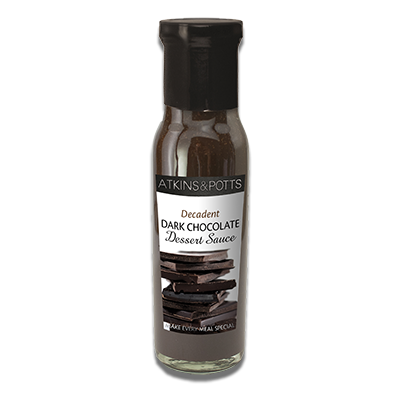 These deliciously decadent sauces are made from the finest quality ingredients. 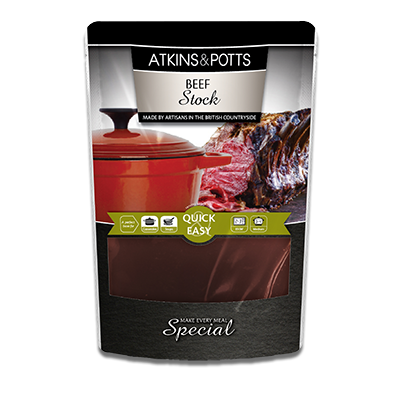 Take advantage of our most recent products and recipes. 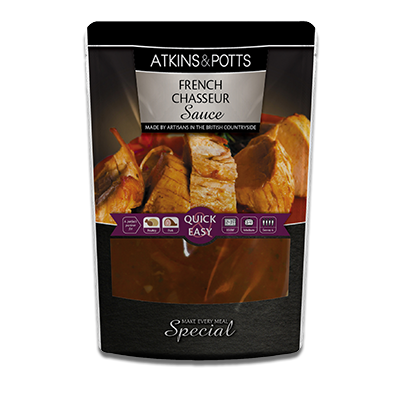 A French classic inspired by the 17th century custom of picking mushrooms while out hunting to make a sauce for the game. 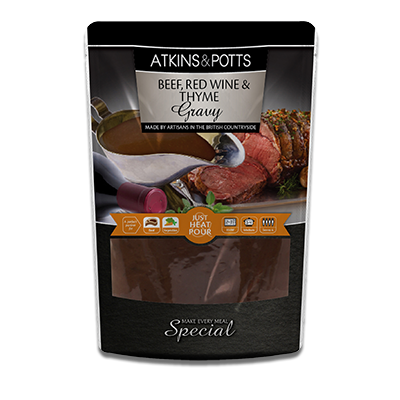 This sauce is traditionally served with venison game birds or chicken. 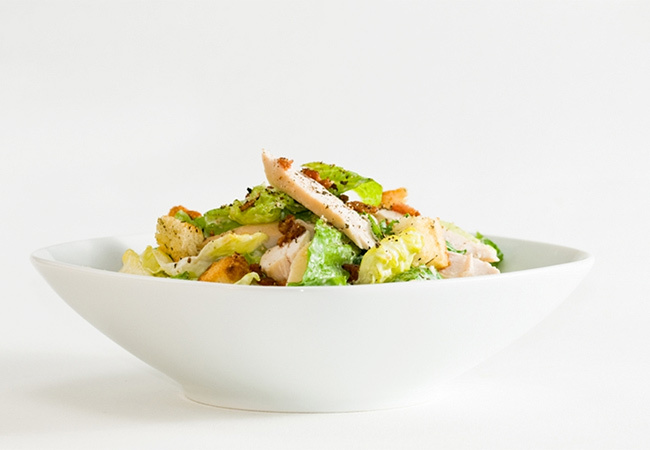 Our gorgeous Chicken Caesar Salad offers a delicious burst of flavour and texture, whilst leaving you feeling fresh and with a great taste in your mouth. 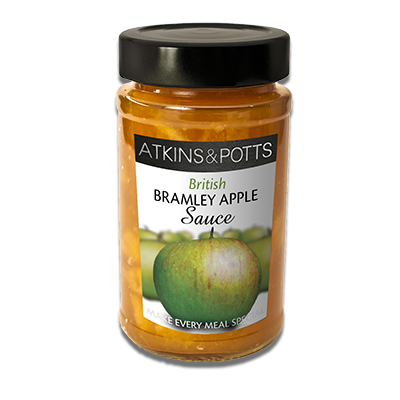 Perfect for a light lunch! 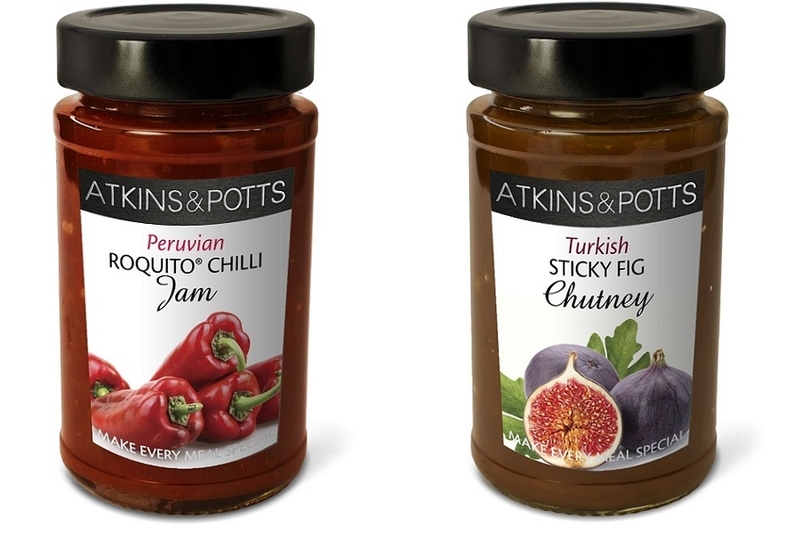 We launched FIVE new products earlier this year! 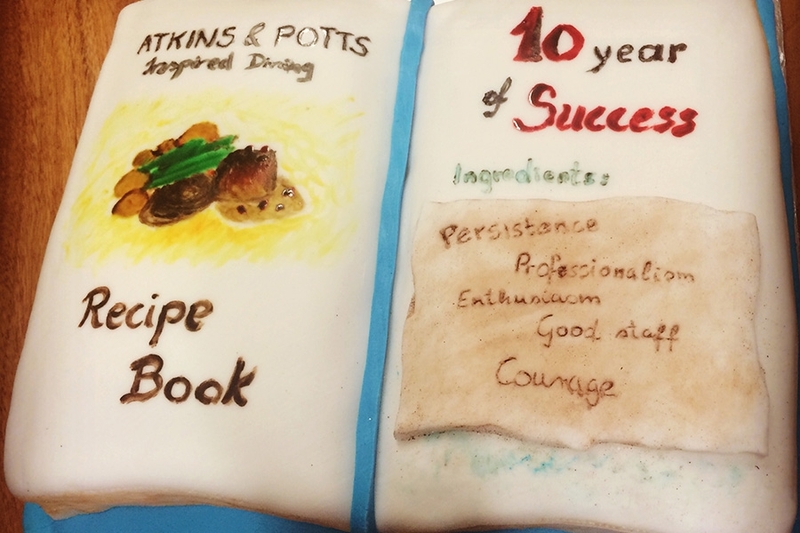 We're proud to show off our awards, they highlight exactly what we stand for and the service that you should expect from us at Atkins & Potts. 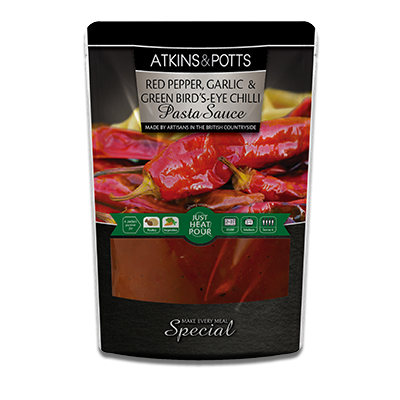 Take a look through our recommended recipes, products and much more!